The author must also consider the political realities of Washington. Despite the efforts of Mr. Sugarmann and many others, the National Rifle Association still wields tremendous influence in the halls of Congress and their blessing is required for any bill that enforces or creates gun laws. In listing the three anti-gun violence organizations that have reservations about my bill, Mr. Sugarmann inadvertently addresses why the NRA has such power while the efforts of organizations working to prevent gun violence have been futile for close to a decade. The NRA is consolidated into a single cohesive unit, but the groups working for common sense gun laws are many and each possess their own agenda and points of view. Only when these groups join forces for common legislative goals will we be able to prevail not only in the halls of Congress, but in state legislatures and city halls across the country as well. I guess she doesn’t know all the bickering that often goes on between GOA, JPFO, NRA and SAF. We are pretty united though otherwise, I’ll give her that. But we need to stay that way, which is why I get pissy when one group attacks the other to get advantage for their own group. It’s one thing to criticize, that’s fine, but I still think GOA became unhinged over HR2640. Carolyn McCarthy might get her wish though, given that the VPC is hemmoraging money at an astounding rate, it might not be too long before the gun control movement only has one group left standing. She shouldn’t count on that translating to victory, however. The root reason we’re achieving victories over them politically isn’t that we’re united, it’s that there are a lot more of us than there are of them. If there’s a serious political movement to pass gun control, it’s completely unapparent to me here on the Internet. GOP Going After Carolyn McCarthy? I am grateful that the NRA has such influence. It has influence because it is about 4 million members strong. It is 4 million members strong because it represents freedom and vows to protect and defend the very same document that these members of Congress seek to undermine. Oh, and we also win because we are… right. But I guess truth has no place in politics. She’s right. We have the NRA. Period. The others are worthless, with no voice and no influence, as far as the national debate on firearms goes. Even gunnies in Congress (with the exception of Ron Paul) don’t know they exist. Not so, Countertop! The other gun groups provide the more “extreme” position against which the NRA position seems more moderate to the uneducated and the hoplophobes. The NRA can’t keep moving in the right direction without the other groups blazing the trail back toward freedom. 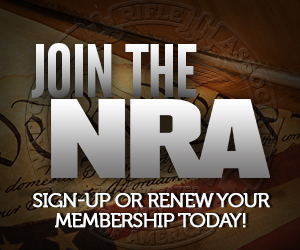 All of the anti-gun groups consolidate? They are disparate groups for a reason…heck, all of them are funded, to one degree or another, by the same people. All of them have pretty much the same member base. If they wanted to consolidate, they would. Also, with disparate groups, they can add their numbers to inflate their influence. As separate groups, their membership numbers are all counted individually; don’t bother to mention the fact that a good number of the members are members of more than one group and are, therefore, being counted multiple times. No. Consolidating would be the WORST thing they could do for their cause. It would make it readily and unmistakably apparent just how miniscule and impotent their membership really is.